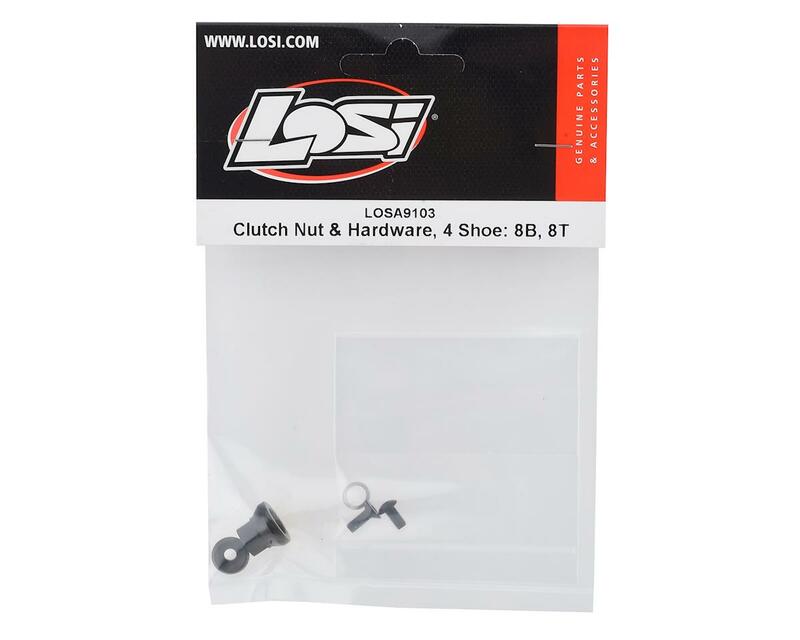 This is a replacement clutch nut and hardware for the Losi 8IGHT buggy. 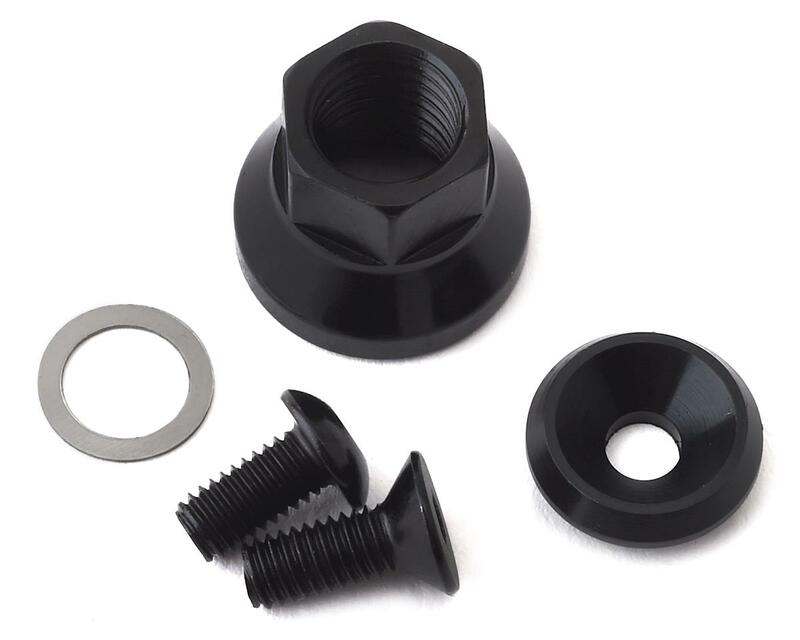 Each kit contains one clutch nut, shims and the screw and washer to secure the clutch assembly to the engine shaft. The nut is used to secure the flywheel to the collet on the engine shaft and the shims are used to adjust the depth of your clutch bell.